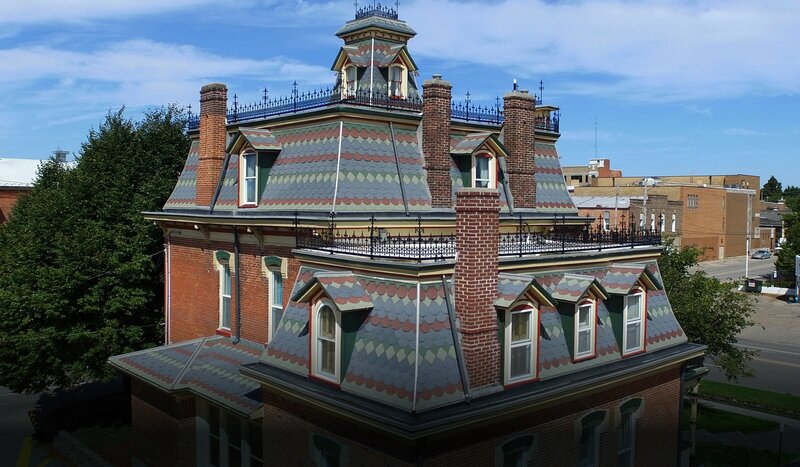 The Blair House in Washington, IA is a historic property that was built in 1881. 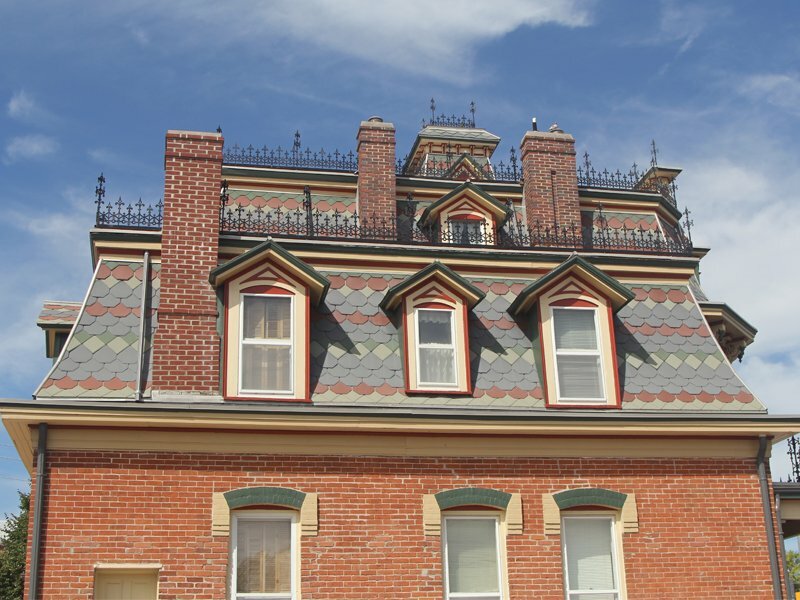 The building was formerly used as the town’s City Hall, and it was was listed on the National Register of Historic Places in 1973. 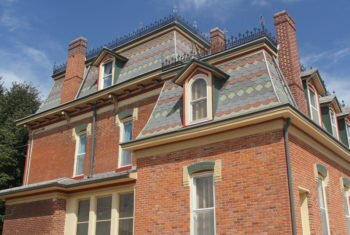 It is one of the few Victorian houses that remains in this area. 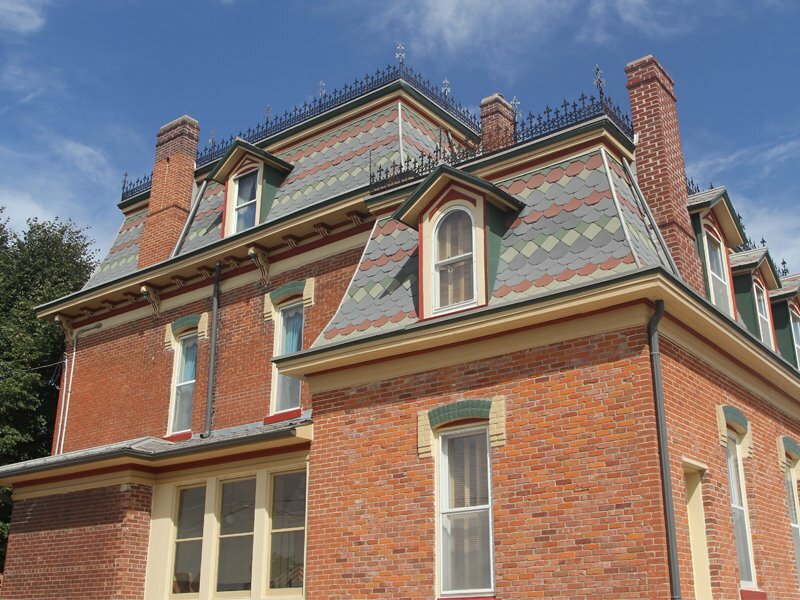 The brick building’s main block and tower are capped with a mansard roof. 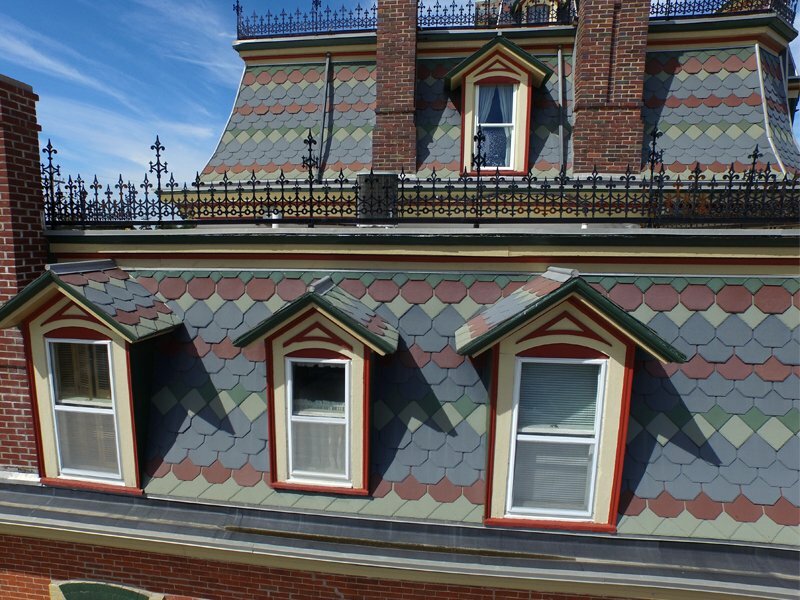 An EcoStar roof was designed and installed to maintain the historic appeal of the structure. 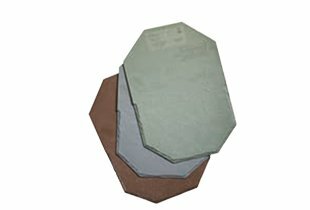 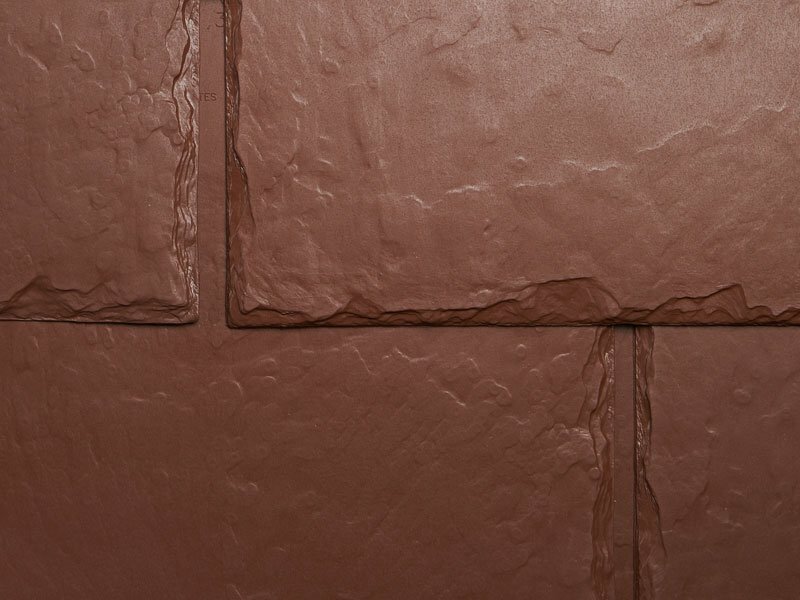 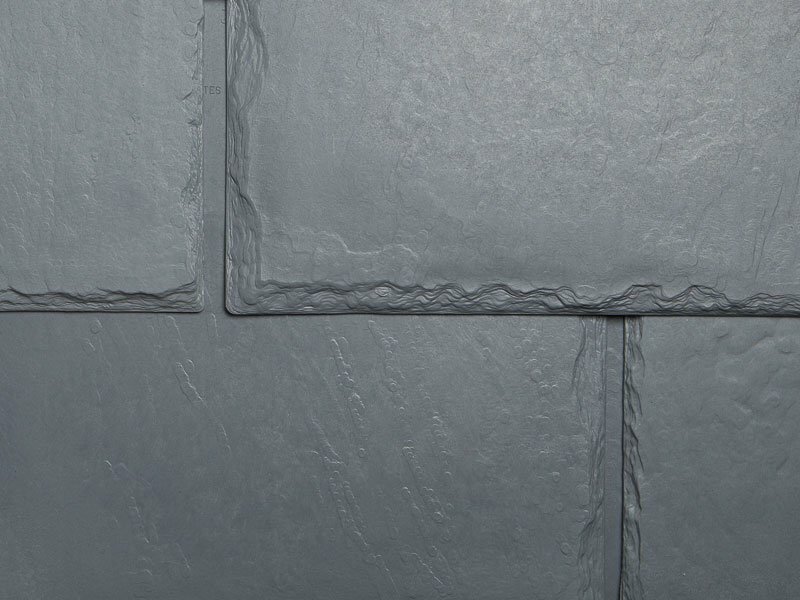 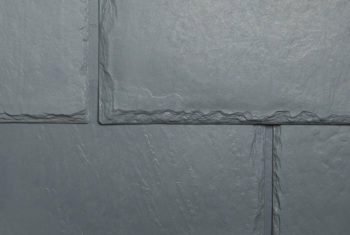 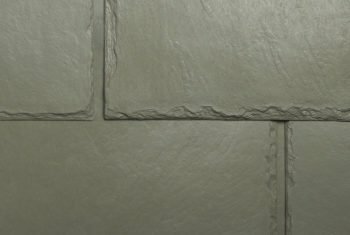 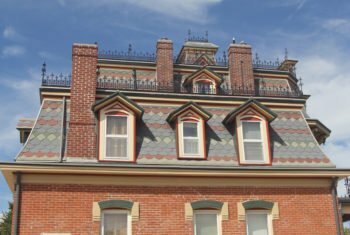 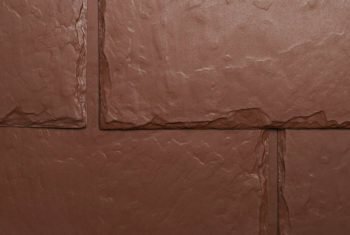 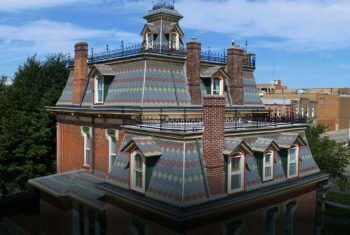 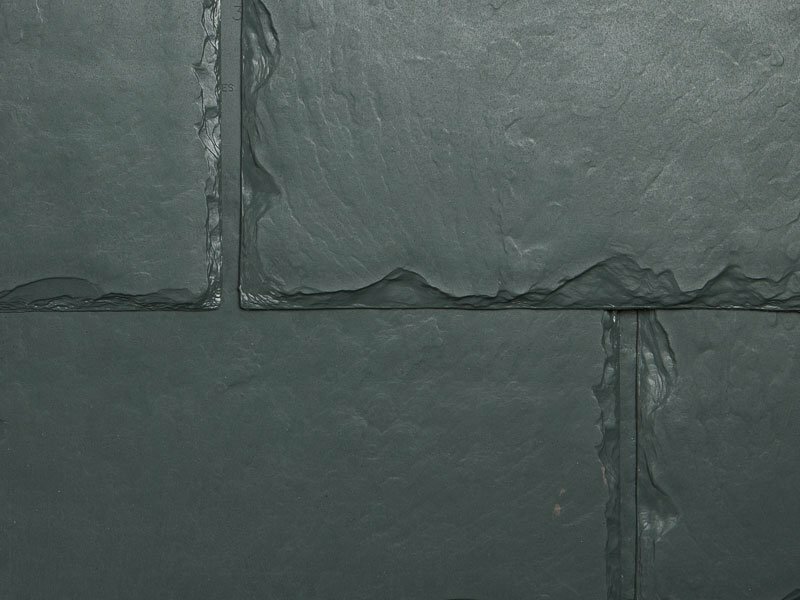 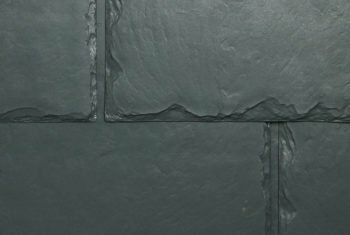 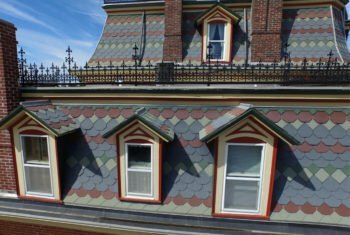 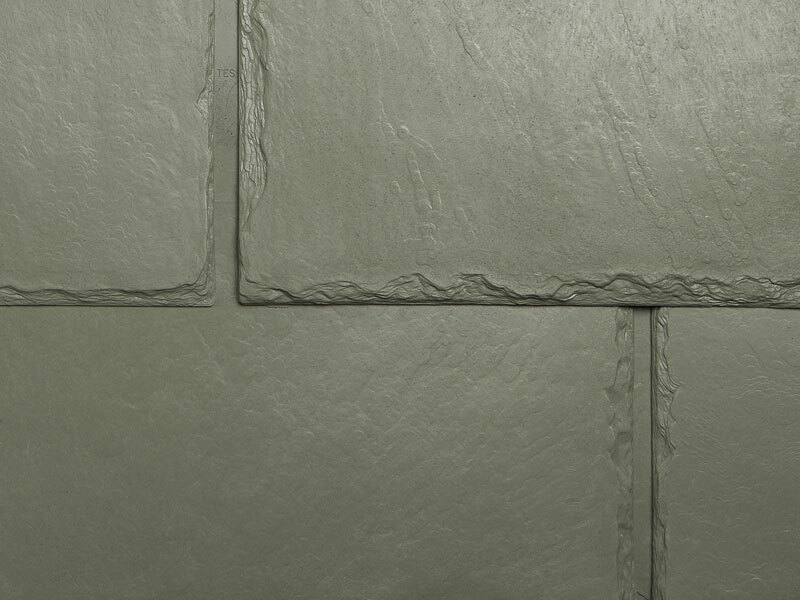 The Majestic Slate Beveled Edge and Chisel Point tiles in Sage Green, Earth Green, Stone Red and Smoke Gray were chosen to exactly replicate the original slate roof.